IQ tests are different because of the methods which stand behind them. Some of them are verbal, some are visual, and others are based on general knowledge, vocabulary, and memory and so on. In 1904 Charles Spearman decided to analyze the IQ tests through their correlations. What he discovered was a factor that reveals the positive correlations between all the tests. Spearman decided to call it “g” for "general factor" and named the smaller factors “s”. “G tests” consist of a form of abstract reasoning. Some people and Charles Spearman himself accept “g” for the first base of intelligence and according to them “g” is genetically determined. But a lot of other people disagree with such opinion so it is still an idea, not a fact. “G” is also observed as a statistical artifact. 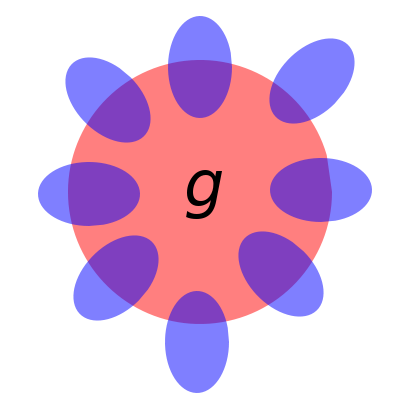 “G” is mainly measured in RPM. RPM stands for Raven’s Progressive Matrices – nonverbal test consisting of 60 questions, arranged by difficulty given to children from age of 5 and above to test their reasoning ability. When the test was invented in 1936 the takers must fulfill the missing element of the pattern which would vary between 2x2 – 4x4 matrix and that’s explained why it is called RPM.